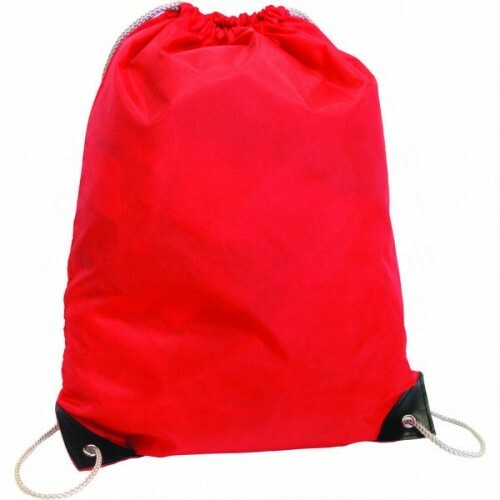 This promotional Nylon 210D tote / sports bag has a drawstring and black simulated leather reinforced corners. It comes in a fabulous range of colours and a large print area. 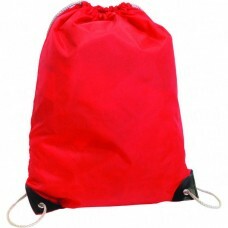 Suitable for schools, colleges, travel & all leisure industries. This is one of the most popular promotional products in the UK. Colours available: Black/Black, Mid Blue/Black, Red/Black, Grey/Black, Yellow/Black, Green/Black, Orange/Black, Pink/Black, Purple/Black, Dark Blue/Black, White/White, Sky Blue/Sky Blue and Burgundy/Burgundy. Dimensions: 430mm x 345mm x 5mm. Print area: Front & Back 240mm x 240mm. Prices are based on a 1 colour print to 1 position. The colours shown are only for guidance and cannot be taken as a true representation. Minimum order is 100 off.